EDMONTON - Alberta is gearing up for the flu season with an ambitious plan to almost double the number of people who get flu shots. Dr. Gerry Predy, senior medical health officer, says when the "Get It Before You Need It" campaign begins Oct. 20, people can get free shots at public health clinics, a larger number of pharmacies and doctors' offices. "It can be a very serious illness and lead to death and hospitalization," Predy says. "It puts a lot of pressure on our hospitals and emergency departments. "People can not only protect themselves, but protect others in the community." Predy said Alberta will try to encourage more health workers to get flu shots by promoting the benefits of immunization, including honouring staff who get shots as "flu champions." 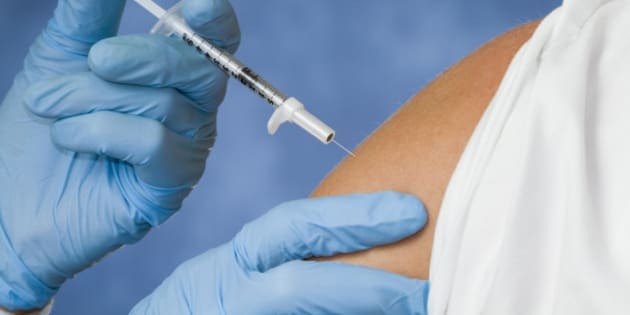 He said if the voluntary approach isn't successful, Alberta will consider following the British Columbia government's policy of requiring health workers to either get a flu shot or wear a mask while on the job. "Part of our messaging to our staff is it is part of their duty of care to patients. We are stressing to our staff our objective is that no patient should get influenza from one of our staff. That is something that is just not acceptable." The slogan on these ads is: "Keep The Past Where It Belongs."